Yes, it really can happen. You can get that wonderful moment when a member of the airline’s staff comes up to you and gives the good news that you’ve been upgraded for free. 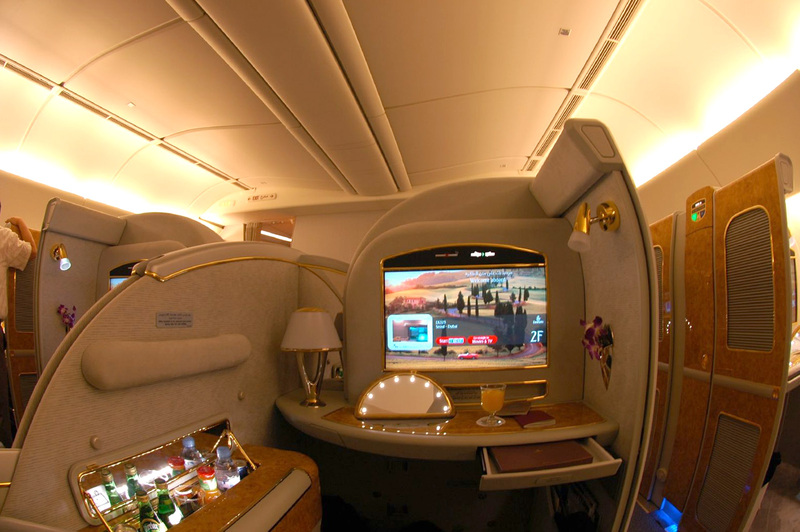 OK, so you are more likely to get bumped up one grade, say from economy, to business class, but upgrades from economy to first class do happen, I know, because it has happened to me. 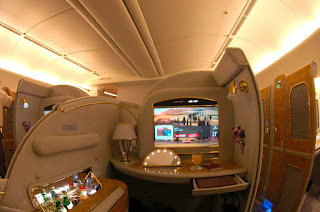 The difference between surviving a long haul flight and enjoying one is being in club class or first class, but that costs a fortune so, for most of us, and upgrade is the best we can hope for. There are no real tricks you pull get an upgrade when you fly, but there are a few things you can do to increase your chances of being the one selected for an upgrade should they become available. Here are ten travel tips on how to increase your chances of getting an upgrade when you fly. If you are a frequent flyer then join the airline’s loyalty programme. In addition to benefits like boarding priory, use of a lounge, and being able to accumulate free air miles, you will get a far better chance of being offered a complimentary upgrade. If you are a business traveller, and you do a lot of flying, sign up for the loyalty programmes for all the airlines you use. If you book a flight during a holiday period, there’s a good chance that economy class will be packed, but business and first class won’t be busy at all. Most premium seats on an airplane are paid for by companies, not by the individuals, so travel on a bank holiday when most people aren’t working and you will increase your chances of being upgraded on a flight. In my recent travel tip post about travelling light, I suggested taking only the bare minimum of clothes with you, but if you want to get an upgraded, you will better off if you are wearing your finest. If you are wearing scruffy jeans and your favourite football shirt, it’s unlikely you are going to get bumped up a class. This isn’t so much of a free upgrade travel tip, but it’s one to bear in mind. When most people book a flight, they just assume that business class is going to be prohibitively expensive, but it isn’t always that way. If the flight doesn’t have many people flying business, or club, the prices can come down, so upgrading may not be as expensive as you thought. If there are some upgrade places available, it will be up to members of the airline staff to choose the lucky winner, so mind your manners when you talk to anyone wearing a uniform! Smile and be pleasant, because no one is going to give you a free upgrade if you are rude and miserable. If an airline has decided to bump a few people up from economy, they are likely to do it on a first come first served basis. If you are the very first happy, smiley, and smart looking person to arrive at the check in desk, then it could be your lucky day. On the other hand, if you don’t mind taking a risk, some people say that arriving very late for a flight is the best way to get a free upgrade. If you do get there late and the flight is overbooked, they will have probably allocated all the seats in economy already so you might just get bumped up to club class or to first class. Mind you, you might miss your flight altogether! If the airline has overbooked your flight don’t just accept the delay until the next flight, make a fuss. Don’t be rude or aggressive, because that will get you nowhere, but you could tell them, firmly, how important it is that you get to your destination on time. On one occasion I got upgraded to first class, I was travelling with my boss, but he didn’t get ungraded with me. I won’t tell you what he called me when I told him I was off to the first class lounge on my own! Ten minutes later he joined me having explained to the airline that we had vital business matters that we had to discuss on the flight. Birthday, wedding, or honeymoon, whatever the happy occasion is, tell the crew. At the very least you’ll probably get a free glass of bubbly and you might even get an upgrade. I’ve heard that the sympathy tactic can work too. So don’t hold back on the tears if you just got some bad news! Get in first and ask for an upgrade, you have nothing to lose! Put on your best winning smile, lay on the charm, and just politely say that if the airline will be upgrading people on the flight, you’d be happy to be moved. You never know, the next time, it could be you that is chosen. If you liked this post then please do share with your friends on social networks. Thanks!